BookHounds: GIVEAWAY! Win a Kindle from author Wendy Wax! Ends tomorrow! GIVEAWAY! Win a Kindle from author Wendy Wax! Ends tomorrow! There’s just one more day left! 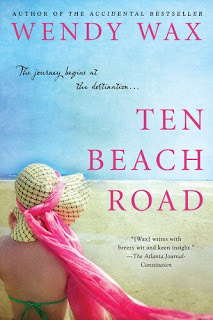 Wendy Wax, author of MAGNOLIA WEDNESDAYS and the new novel TEN BEACH ROAD, out in May, is getting ready to give away an Amazon Kindle Wi-Fi. It comes loaded with one of her most popular books, THE ACCIDENTAL BESTSELLER. The promotion ends on Thursday, 3/31/11. Wow! It ends today and I just learned about it. Great giveaway opportunity! Thank you so much.